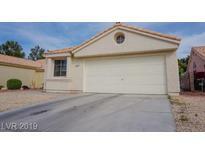 Below you can view all the homes for sale in the Meadow Valley subdivision located in Las Vegas Nevada. 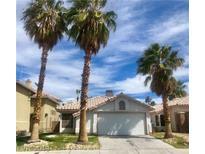 Listings in Meadow Valley are updated daily from data we receive from the Las Vegas multiple listing service. To learn more about any of these homes or to receive custom notifications when a new property is listed for sale in Meadow Valley, give us a call at 702-323-5939. Large 2 Car Attached Garage + Generous Sized Lot In Desirable Neighborhood Convenient To Schools, Shopping & Beltway MLS#2084789. Simply Vegas. Located close to freeway access, shopping, dining & T-Mobile Arena. MLS#2082903. Realty ONE Group, Inc.
No HOA, easy access to the I-215 & near Sunset Park for great recreation. MLS#2079773. Movoto, Inc. Very convenient location near Sunset Park, shopping, dining and a quick commute to McCarran Airport and UNLV. MLS#2082434. Alajajian Properties. Custom Light fixtures, large master room , granite counters in bathrooms, Good size back yard . MLS#2078298. LIFE Realty District. Seller will include all furniture (see agent notes) MLS#2078840. Realty Investments of NV, Inc.
Home comes with a 30-day buyback guarantee. Terms and conditions apply. MLS#2075083. Opendoor Brokerage LLC. New flooring, appliances, etc., this Forever Home is the whole package - stop by and check it out for yourself, it will not disappoint! MLS#2076243. Forever Home Realty. Large backyard with extended covered patio. MLS#2075994. Keller Williams Realty Las Vegas. Conveniently located near Sunset Park, with quick commute to McCarran, UNLV and Henderson.Perfect 1-story home MLS#2072946. Carroll Realty. Don'T Miss Out On A Place To Call Home. MLS#2068469. Prestige Properties. *2 Story Home*conveniently Located Near Dining, Shopping, Major Transportation Routes And More*security Gate In Front*open Floor Plan With Vaulted Ceilings*cozy Fireplace With Brick Backsplash*breakfast Bar In Kitchen With Plenty Of Cabinets*spacious Rooms*mirrored Closet Doors*large Backyard With Low Maintenance Landscaping Including Palm Trees*two Car Garage*no Hoa Is A Plus*must See* MLS#2065985. Keller Williams Market Place. Close to freeway access and shopping! Thanks for showing! MLS#2063116. Wardley Real Estate. This home is not part of an HOA. MLS#2060147. Opendoor Brokerage LLC. This home is not part of an HOA. MLS#2053081. Opendoor Brokerage LLC.